Cheating Lessons gets a starred review from Library Journal. Lang (English, Assumption Coll.) addresses the unpleasant subject of academic dishonesty but avoids focusing on rules and punishment, instead exploring more positive ways to encourage students to engage in learning. First, he assures readers that there is no evidence that cheating in college has increased; he claims dishonesty occurs when students feel unable to succeed in an academic environment and that it will be reduced if faculty modify their courses and motivate students to prioritize learning instead of test taking. Lang explains relevant cognitive theory, outlines factors that foster cheating, and presents fascinating examples of course structures and classroom activities that stimulate students to work toward mastering their subjects. So yesterday at around 4:00 pm I received an e-mail from Time.com asking me if I could produce 800 words on a news story about a survey that incoming students at Harvard took, on which they reported their cheating behaviors in high school. They wanted it turned around that same evening. I can produce prose pretty quickly, especially on the subjects that I know something about, but this was the fastest deadline I have ever encountered. Ultimately, I got it done, and they put a catchy headline on it and linked it to a bunch of other stories on learning, so I was happy with the final result. In the meantime, a long interview I had done with insidehighered.com appeared this morning as well. They asked great questions, and the interviewer wrote a smart and generous introduction to the piece, which they published in full QA format. If you are looking for a fuller understanding of the book's argument, that's the place to go. This Thursday afternoon at 3:00 pm will mark my third appearance on an NPR affiliate, this one in San Antonio, Texas. But if you are not going to be in Texas on Thursday, you can listen to my appearance on Boston's NPR affiliate right here. And of course all of this publicity is designed to get you interested in the book, which is now available from Amazon. In the meantime, eldest daughter has settled into her first semester of college at the University of Notre Dame, and seems to be doing wonderfully. Notre Dame has an extensive intramural sports system, which includes every sport under the sun. So naturally she decided to join a dodge ball team. I encouraged her to watch the movie Dodge Ball in preparation. "If you can dodge a wrench, you can dodge a ball." We are in the second week of the semester, and between that and the publicity work for the new book I am keeping pretty busy. But when I have some open space in my schedule I spend it reading George Orwell, who is helping inspire my next project: a writing text that tries to enact some of the basic ideas I have been arguing for recently about how we can best motivate our students to learn--and, in this case, motivate them to write. This text will seek to develop a framework for the teaching of writing that taps into the problems and questions that matter to students, and that helps them understand how they can use writing to, as Orwell once put it, "push the world in a certain direction." Finally, don't forget @LangOnCourse as a place to join an ongoing conversation about teaching and learning in higher education on Twitter. See you next month. Almost two weeks beyond publication day, and the publicity for the new book seems to be kicking in. So here's an update on how and where you can catch me or writing or speaking about the new book. 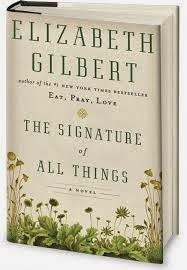 On Sunday, August 4th, an essay which provides an overview of the basic argument of the book appeared in The Boston Globe. Some folks at WBUR, the NPR affiliate in Boston, read that essay and invited me to join them for a live call-in segment on the book on Thursday, August 8th. You can listen to the show, and also find on their website a link to an interview I did for an online course about cheating in college. The final essay in my three-part series on cheating for The Chronicle of Higher Education should be out within the next couple of weeks (check out Part I and Part II beforehand!). In the meantime, in just two weeks my eldest child will start her first year the University of Notre Dame, so that makes me a proud (but broke) father. Looking forward to observing the teaching and learning process in college from the perspective of a parent. Go Irish! Just around two years ago, the editor of my last book with Harvard University Press told me that she had been to a conference about teaching in higher education and heard a lot of discussion about the problem of cheating on campus. Everyone was looking for solutions. She wondered whether I might have an interest in tackling the problem in a book for the Press. I wasn't sure how I felt about it, but you don't get too many offers like this as a writer, so I agreed to think about it. She drove out to Worcester and we has a lovely lunch together at the Sole Proprietor, my favorite seafood restaurant. By the end of the conversation, I was convinced enough to at least do some reading and put together a proposal. I went to the local public library, checked out three books on cheating, and brought them with me on vacation that following week. After reading them, I had some vague ideas about how I might like to approach the problem, and the book, and so I put together a proposal, which the Press accepted. As I then really dug into the research on cheating over the next few months, I began to see things differently. The more I tried to understand why students were cheating, the more I became convinced that the problem cheating revealed some fundamental flaws in the ways we structured and taught courses in higher education. I abandoned the structure of my initial proposal and struck out in an entirely new direction. By the spring of 2012, I had settled on my approach to the issue, which was to argue that research on human learning and research on cheating were both pointing us in the same direction in terms of how we should be designing and teaching our courses, and so the heart of the book became an argument about how we can learn from academic dishonesty how to build better learning environments. 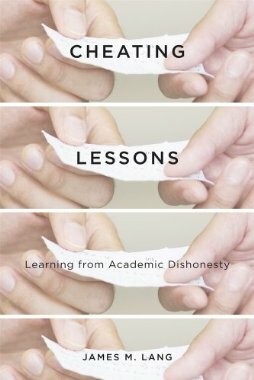 Christopher Hager, a Trinity College professor who read an advanced copy, captured this well with his very kind blurb for the book: "James Lang has written a smart, original, well-researched guide to 'building better learning environments' framed as a guide to avoiding academic dishonesty." The heart of the book, then, is essentially an argument for how we can teach our students more effectively--and, in doing so, reduce their incentive and opportunity cheat. Around that basic argument are two shorter sections: first, a brief tour through the history of cheating, both in higher education and beyond, as well as an overview of the statistics on cheating in higher education today; and, in the final part of the book, some arguments about how and why we should tackle the problem of cheating from the broader campus perspective. So if you have any interest whatsoever in the question of why students cheat, or how they do it, or what to do about it, you should buy this book! But I hope the book will appeal to all teachers, even those who teach at the secondary and elementary levels, as it also reviews recent research in learning theory and uses that material to make the case for how we should be building learning environments for all of our students. Finally, if you are interested more broadly in the present and future state of higher education, I hope and think you will find the book of interest, as it explores how the root causes of cheating may extend deeply into the structure and nature of the way we do business on campus. In any case, that's the story of Cheating Lessons: Learning from Academic Dishonesty. Now click the link and buy a copy! Last year Notre Dame Magazine asked me if I would be willing to write a story about the high cost of college tuition these days, and offer my perspective on whether college was still a worthwhile investment for our students. This really involved researching two questions: Why does college cost so much? And what do our students gain from their college education? Understanding the first question was far more complex than I had anticipated. Like everyone else, I had read plenty of pundits opining that college costs were being drive up by dorm amenities and other unnecessary campus expenses. It turned out that those kinds of expenses, while real, were only a tiny part of the problem. Gaining a clear picture of the real forces that have driven up tuition costs pushed me to the edge of my economic understanding, but also really helped me see the extent to which the media has oversimplified this issue and done a disservice to the public and to higher education. Answering the second question was more simple, and involved looking at reports on the economic difference that a college degree makes on both employment prospects and lifetime earnings. The picture that emerges from that analysis is a very clear one. I spent a few months researching these questions, and conducting interviews, and then sat down and pounded out a draft in a single day--something I almost never do. I much prefer to write a little bit on a project every day, working in very small chunks. But I'm happy with the final product, which you can read at Notre Dame Magazine online. It's a long-ish essay, but I hope you will find it worthwhile. Today also marked the publication of the second of my three-part series on cheating in higher education; looking forward to finishing up with part three, which should be published just around the time the book becomes available. Of course you can already order an advanced copy. Finally, a reader e-mailed me a few months back to let me know about a nice overview of lecturing in higher education--what it's still good for, and how to do it well. I'm passing along the link for those interested in this form of teaching. Welcome to readers from the Chronicle of Higher Education, who are stopping in from my May 29th column on cheating in higher education. If you are interested in following up on some of the research that I cite in the column, you should check out Dan Ariely's book The (Honest) Truth about Dishonesty, in which he lays out the evidence for his claim that the structures of our daily environment play an important role in determining whether or not we cheat. If you are interested in learning more about the Princess Alice study, conducted by Jesse Bering and two colleagues, you can find a link to the published abstract here, and a newspaper report about the experiment here. Jesse Bering publishes widely in both academic and trade venues; you can read all about him and his work at his website. The official publication date of Cheating Lessons: Learning from Academic Dishonesty, is July 29, 2013. It's available for pre-ordering here. Before my summer hiatus begins, I'll be presenting the argument of the book three final times, beginning this Saturday at the Teaching Professor Conference in New Orleans. From there I'm off to Seattle Pacific University, where I will be speaking and working with the faculty on this subject and its implications for our teaching. My final event will be at Ken Bain's Best Teachers Summer Institute, where I will be presenting the book's main argument again on the afternoon of Thursday, June 20th. In short, you will have multiple opportunities to learn more about the argument I have to make about cheating, both in print an in person, in the coming weeks and months! I look forward to engaging with college faculty and other teachers who are interested in these questions in order to help us work together to discover how to create learning environments that reduce the incentive and opportunity for students to cheat, and induce their motivation and interest in learning in our courses. One final note. I spent all of last week in a seminar on "Free Will and Moral Virtue." A dozen faculty members spent six hours every day listening to presentations and discussing these large topics from a variety of perspectives--neuroscience, psychology, philosophy, etc. I saw this as an opportunity to cleanse my mind from two years of thinking and writing about cheating, and perhaps open up new avenues of thinking for whatever my next project might be. But when one of the psychologists learned that I had a book coming out about cheating, she handed me this fascinating article, in which two researchers demonstrate that belief in determinism increases the likelihood of people to cheat. "Does the belief that forces outside the self determine behavior," the authors speculate, "drain the motivation to resist the temptation to cheat, inducing a 'why bother?' mentality?" Publication will be in early August. This was the second proposed cover; the first one was an image of a Pinocchio marionette against a white background. I like the old-school note-passing in this cover, and of course the idea that it's "copied" four times. Two bits of Lang book history trivia. 1) Of my four books, this is the first and only one on which a person's face does not appear on the cover. 2) This is the third of my four books in which a variation of the word "learn" appears in the title. This could be interpreted either as an admirable consistency in focus or as an unfortunate lack of imaginative powers. I will leave that up to the reader. This week my family has been anxiously awaiting the decision letters and e-mails from the universities to which my oldest daughter applied this spring. For the past year we have been touring campuses, browsing websites and reading promotional materials, and dreaming about where she will find herself in the fall of 2013. That process has been an illuminating one for me to observe as a faculty member and as someone who writes about higher education, since I have learned about plenty of interesting initiatives and programs happening on other campuses. But what has struck me most deeply throughout this process has been the light attention paid by the admissions guides and published materials to what probably strikes most faculty members as the central activities of the college or university: teaching and learning. Most of the college tours we took spent time walking us through sample dorm rooms and spoke extensively about life on campus; only a few of our tour guides took us into classrooms or laboratories, and spoke in any detail about their experiences in the classroom. What does that convey to the prospective student, and to the parents who pay our bills, about our priorities? I'm not surprised to find my daughter training her eyes on the living quarters or social lives of the schools she plans to attend; she's 17, after all, and those issues loom understandably large in her perspective. And I understand perfectly well that colleges have to tailor their marketing campaigns to late adolescents, and so an emphasis on the quality of the dining hall food or the weekend social scene makes good business sense. But it seems to me like the education we provide to our students should perhaps begin before they ever arrive on campus, if we can help shape the way they think about their college experience. It seems to me, in other words, like we can probably do a better job of educating prospective students and their parents about what matters most deeply around here, and about why they should care about it. I want to make a very modest proposal to admissions offices about one way in which they could begin to shift this balance of emphasis more toward the heart of the college and university enterprise, where I think it belongs. At the beginning of the year, ask your student tour guides to think about the three most powerfully charged learning experiences they have had on campus. Have them write those experiences down, and practice narrating them. Work with the guides to ensure that they understood what made those experiences so powerful, and how those learning experiences were--or were not--connected to the good work of an educator on campus. Then ask those tour guides to make sure that their tours include stops at three locations which will allow them to tell those three learning stories, and offer the kind of passionate statement about learning on campus that will inspire prospective students to think a little more clearly about what they will be doing in college. An initiative like this one could have a ripple effect into the college, as it inspires the tour guides to think more carefully and deeply about their own learning, and that may inspire other students to do so as well. It could also end up providing a rich set of materials for the institution to draw upon in their promotional materials, as well as helping to identify faculty and staff on campus who are making the biggest difference in the lives of their students. Touring another campus as both a parent and a faculty member, I know where to train my eyes in order to get a sense of the teaching and learning environment on campus. Most parents will not have the same experience in dissecting a college campus, and could use our help in gaining a clear picture of what their sons and daughters will experience in the classroom. We should be doing a better job of giving them that help. 1) None of the pseudo-objective, passive-voiced prose that characterizes too much literature on teaching and learning. First and foremost we are looking for authors who can write. As my editor at HUP once described it, the reader should be able to discern a human being behind the prose. We are looking for lively prose voices that know how to blend the personal and reportorial with the (social) scientific. For excellent examples of the kinds of prose voices we are seeking, see the recent books of Ken Bain or Cathy N. Davidson. 2) All books will rest on a solid foundation of knowledge from the learning sciences. While certainly not every book will focus explicitly on findings from cognitive psychology or neuroscience, we want to ensure that our authors have a basic familiarity with what scientists tell us about how the brain learns. 3) Each title will focus on a very specific problem, challenge, or approach facing or available to 21st-century higher education faculty. So we envision a title on the teaching of writing in the digital age, for example--one that can guide faculty who might find themselves responsible for teaching writing in general education courses without having had any background or training in the teaching of writing. The books will survey what the literature of the learning sciences tells us about their subject, and then offer practical implications and guidelines for working faculty or administrators. We have not yet formalized these guidelines into a call for proposals; check back here over the next month or so and I hope to have that formal document ready soon. In the meantime, if you are interested in learning more or would like to propose an topic, don't hesitate to get in touch. You can find me most easily on Twitter at LangOnCourse or via e-mail at lang followed by the @assumption.edu. Quick update or two beyond that. I am slowly working my way toward a new book project on the subject of immersive learning experiences. My interest in this topic has stemmed from studying the problem of transfer in learning--i.e., how learners apply knowledge or skills they have learned in one context into another context. You can read my first thoughts on the issue in a recent column for The Chronicle of Higher Education. At the same time, I have been on the road quite a bit, and 2013 looks to be even busier. In mid-February I will be at Texas Women's University in Denton, TX. In May I will be doing a multi-day faculty workshop at the American University of Armenia in Yerevan. Quite excited about that trip--doing faculty development in the shadow of the Biblical Mount Ararat! In late May I will be at the Teaching Professor Conference in New Orleans, and then in June at Ken Bain's Best Teachers Summer Institute in New Jersey. After several family vacation trips in June/July, I will be back at it in September for what I hope will be a two-week Fulbright Senior Specialists Grant at St. Andrews University in Scotland. It keeps me busy, but travel is one of my greatest joys, and visiting other institutions gives me a steady stream of new experiences and ideas for my columns in The Chronicle of Higher Education. If you see me at a conference or event, and you--or a colleague--is doing something you think the world should know about, come up and introduce yourself and tell me about it. And good luck in the new semester . . .